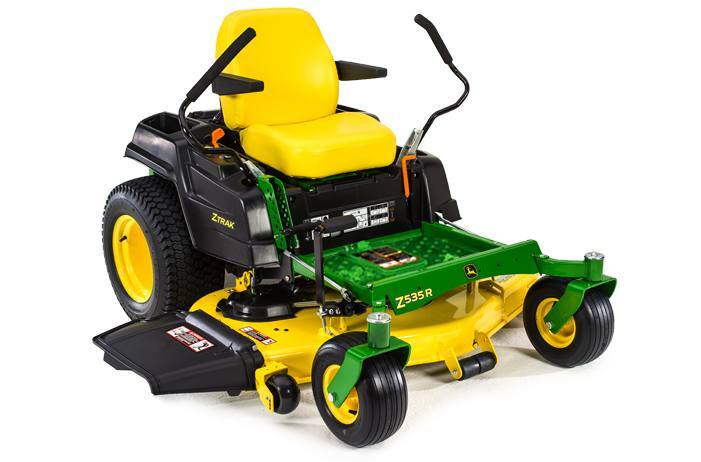 The Z535R has a 724-cc, 25-hp* (18.6-kW) cyclonic engine that provides plenty of power and torque to handle the toughest mulching, mowing, and bagging conditions. The cyclonic engine is specifically designed for zero-turn mowers and includes a five-step integrated cyclonic air management system. This cyclonic air-management system removes larger particles of dirt before they reach the air filter for reduced filter maintenance and longer engine life.